Shakespeare’s characters might have left the stage, as we have seen, to wander unattached in British popular culture. They were joined there by Shakespeare’s language, in quotations excerpted from print or stage. 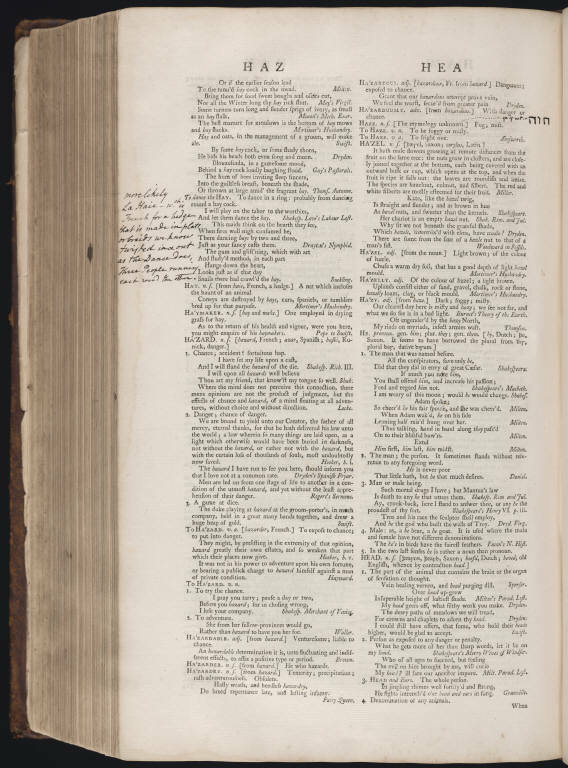 As Matt Hunter has already discussed, Samuel Johnson’s Dictionary of the English Language (1755) amassed Shakespearean citations to define English words, alongside uses by Spenser, Milton, and other authors. This process can be seen, tantalizingly, in a proof copy of the first edition of the Dictionary in the Beinecke Library collections and on display in the exhibition. This copy contains notes accumulated by Johnson and his amanuenses towards a fourth edition, and bristles with slips, each containing quotations, stuffed into the copy. The Dictionary was read, and read for pleasure, by Johnson’s contemporaries and audiences. 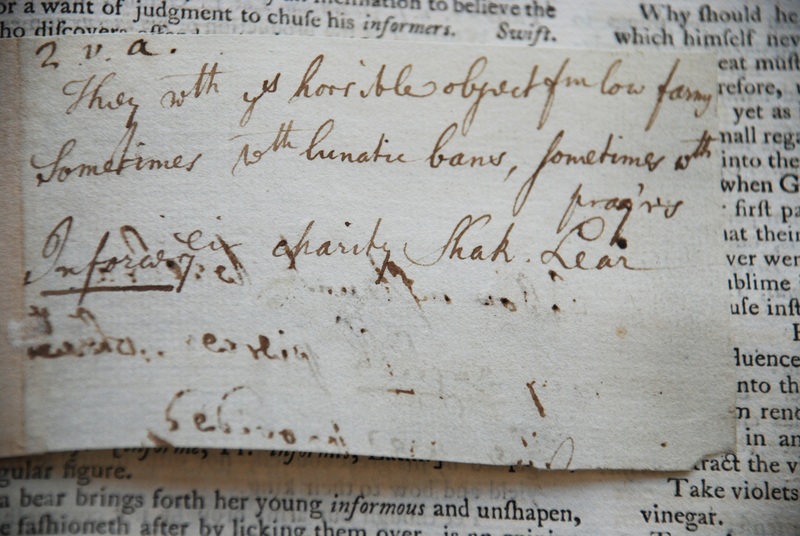 Hester Thrale Piozzi, Johnson’s erstwhile friend and later biographer, can be found commenting on Johnson’s etymology in the margins of her copy of the Dictionary, shown here, in another beloved item not included in the exhibition.